State: Nova Scotia City: Kingston Category: Refrigerators, ovens etc. SELLING OUR WASHER AND DRYER, WORKS GREAT MOVING TO APARTMENT IS REASON FOR SALE, NO LONGER NEEDED. NEW BELT ON DRYER. THE SET IS KENMORE HEAVY DUTY. WILL PUT PICTURES AFTER. TO BE PICKED UP.$150 FOR PAIR.. CALL 1-902-804-9977 OR 902-765-8578 NO E-MAILS NOT WORKING, THANKS. 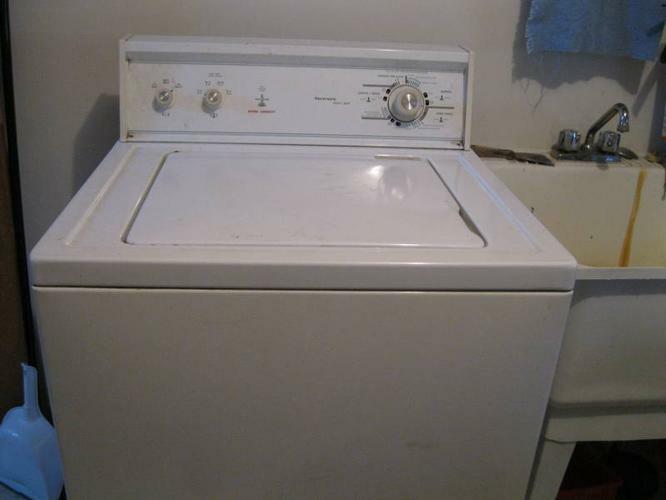 ALSO HAVE 1 EXTRA DRYER FOR $50.00 WORKS GREAT.